We can’t get enough of this moody, high-end hotel look! Adam Hunter credits boutique hotel rooms at his inspiration for his own Hollywood Hills bedroom, which we featured in our latest issue. We definitely see the inspiration but we have to admit, our own inspiration is coming from… Adam himself! 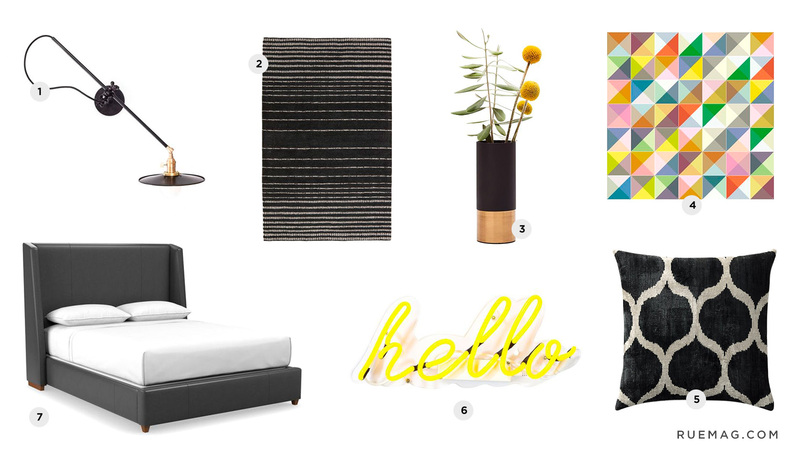 See how to get the look of Adam’s hotel-chic master bedroom below. Start with a dark base. First paint the walls a dark gray to create a calm, cocoon-like environement. Then cover the floor with a geometric gray and black rug. Add in a dark leather bed with an extra-high headboard to really emphasize that feeling of being swaddled. It’s moody and high-end and cozy, all at the same time. 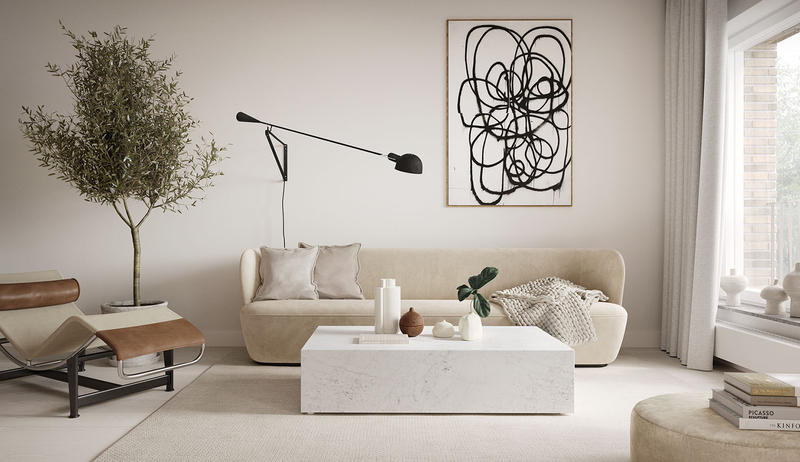 Next add some drama with subtle hints of gold in modern décor pieces. Like the swing arm sconces that flank the bed. Keep it all understated and you’ll be channeling Adam’s style perfectly. But just because the room is understated doesn’t mean you shouldn’t add in some fun. 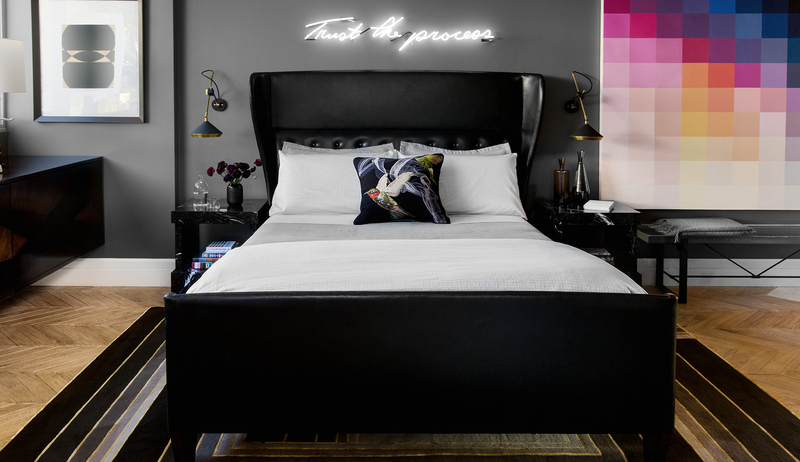 For Adam, that meant a neon sign with his personal motto “Trust the Process.” Personally, we’d love to be greeted by our bed every night so might go for this “hello” sign. Or customize your own sign; we were surprised it is less than you’d think. Last, amp up the color a bit more so the space isn’t too dark. IXXI has great customizable pixel art so you can pick your own color palette. This is a great place to tie in the color scheme of the rest of your home, like Adam did. See how we’d get the look in the slideshow! Loving the neon sign lights in 2018.